Sony released a video of Assassin’s Creed Syndicate on PS4, as it was demonstrated live on stage at the Ani-Com & Games Hong Kong 2015. The footage, which can be viewed below, is of a somewhat low quality off-screen capture but it does feature some interesting gameplay. 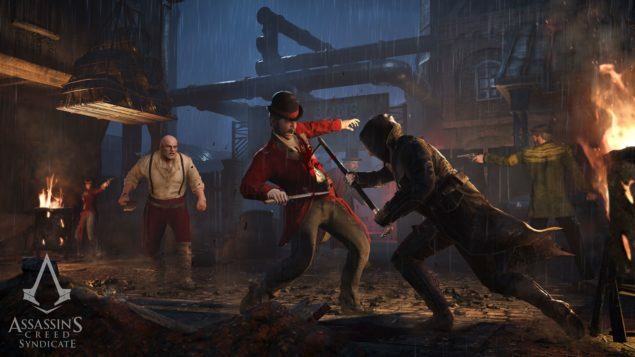 Assassin’s Creed Syndicate puts players in control of Jacob Frye, tasking them with clearing out an enemy gang stronghold before chasing down a Templar named Bloody Nora. It seems straightforward, but as with all the missions in the game, there are many ways to accomplish your goals, though not all of them are immediately apparent. Wandering off the rails reveals that there’s a lot of room for exploration and experimentation, as well as a lot of cool stuff you might not see if you just head straight to your objective. The highlights nine things, found by doing a little sightseeing, and pursuing some unconventional ways.